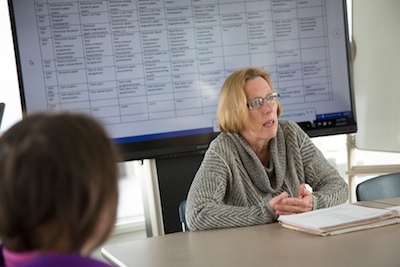 The Bachelor of Social Work (BSW) Accelerated Degree Program prepares students for professional practice with a curriculum that integrates theory with practical experience in a Social Welfare Agency. Graduates are eligible for licensing in Pennsylvania and many other states. The Council on Social Work Education (CSWE) accredits the social work program. Students who want to earn a Master in Social Work (MSW) may be eligible for advanced standing in many graduate schools of social work throughout the United States. The BSW Accelerated Degree Program is designed for students who have work and family obligations and will provide a majority of classes online, allowing students to complete their degree in as little as two years. Students can begin anytime throughout the year taking prerequisites, core and elective classes. They will join a cohort of students for the required social work classes that begins each fall. The University has arrangements with numerous fieldwork sites that would allow students in the BSW Accelerated Degree Program to complete the required hours of fieldwork experience during evenings and weekends. Students applying for a BSW Degree from Misericordia University's Accelerated Social Work Program must produce documentation on clearances including, FBI, Criminal Background Check, and Child Abuse Clearance. Students must have a minimum 2.0 GPA based on all undergraduate coursework taken prior to enrollment. 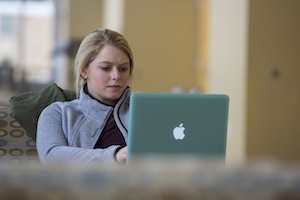 All coursework for the degree must be completed with the minimum grade specified per the catalog requirements in effect at the time of the student’s entry to the University. Failure to meet minimum grade requirements in the cohort courses will prohibit the student from continuing in cohort courses until the required grade has been satisfactorily met with the following cohort. 7 Week sessions and Full Sessions, as indicated below. *Please note: SWK electives may be taken during the summer, or after completion of cohort courses, or may be satisfied in transfer. the academic advisor will work with the student to determine the necessity of taking SWK electives. A completion of 121 credits is required to earn a BSW Degree from Misericordia University. Of those, 49 credits comprise the core curriculum; completion of the social work curriculum requires 78 credits. Certain courses--such as Comparative Sociology and Introduction to Psychology--fulfill both the liberal arts core and social work requirements. This allows the social work major a greater selection of elective courses and the opportunity to pursue a minor. Student must receive a grade of “C” or better in all social work (SWK) courses and maintain a 2.50 G.P.A. in both liberal arts core and social work core coursework to remain in the program. Be registered in both the fall and spring semesters of each academic year. Take and complete courses with the minimum required grade in the order prescribed by the curriculum map and/or advisor. Otherwise the student may be required to leave their SWK cohort and retake the course(s) with the following cohort. Notify your academic advisor and follow the withdrawal process outlined in the University’s Academic Catalog- Undergraduate studies during any semester that a student is not enrolled he/she must. In addition to following this process, accelerated social work students are required to notify the Chair of the Social Work in writing, of the reason(s) for withdrawal from matriculation status. Withdrawal will delay the anticipated date of graduation. Students withdrawing from the accelerated social work program will be required to wait a full year before registering for social work core courses. 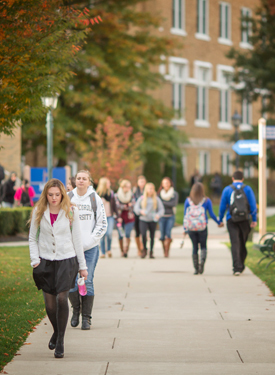 Students may continue at Misericordia with non-social work core courses or electives that apply toward degree requirements.